We carry a variety of lighting and accessories from popular brands such as Anzo USA, Federal Signal, PIAA, Sypder, Streetglow, Vision X, and Whelen. 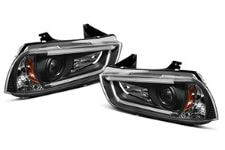 ​These Anzo Projector Headlights for your vehicle add a unique style and custom look to the front of your car or truck. Featuring a Clear Lens with a Black Housing these Projector Head Lights are easy to install and are D.O.T. compliant to FMVSS-108. ​Get proper fitment, easy installation and quality Taillights for your vehicle. Transform your car or truck for the ultimate driving experience. AutoLightPros is backed by a Manufacturer’s Warranty and offers safe and secure shipping. You will shop with confidence when you go with the Pros! The Anzo HID Off-Road Driving Lights feature a large, bright 7″ HID light lens with internal ballast that is 300% brighter than a typical 55 watt halogen. Anzo USA HID Off-Road lights will provide the ultimate in lighting performance regardless of conditions. For a variety of signaling applications. NEMA 4X. Shine bright under the radar with these slim light bars. Half the size, all the power. Premium light bars for serious offroading and demanding situations. These bars will take punishment and never let you down. Raise the bar with our Street Series CREE Light Bars. We offer a wide range of Street and heavy duty spot lights from Race Sport. They come available in a variety of different shapes and sizes so plea contact us with any questions or concerns. We offer a wide range brackets and mounting hardware for Race Sport Lights and Light Bars. Please call us with any questions or concerns about fitment. We offer a wide range of wiring harnesses and accessories for Race Sport’s Lights and Light Bars. Please call us with any questions or concerns concerning vehicle specific kits. 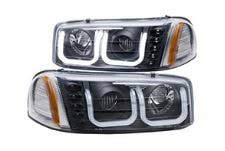 Projector Headlights by Spyder®, 1 Pair. Improve your vision and your vehicle’s appearance with these bolt-on headlight assemblies. The projector beam headlights will produce a sharper, more focused beam of light for safer driving at night, and the custom headlight housing will give your ride an exclusive, unique look. Meets all federal regulations for street use. Fiber Optic LED Tail Lights by Spyder®, 1 Pair. Replace your boring monochromatic tail lights with these bolt-on Fiber Optic LED Tail Lights and give your vehicle an exclusive look like nothing else on the road. The parts combine fiber optic strips that act as running lights and ultra-bright LEDs that ensure the knockout radiance. Meet all federal regulations for highway use. 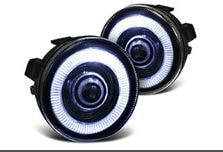 Halo Projector Fog Lights by Spyder®, 1 Pair. Mounted low on the vehicle and angled toward the road, fog lights reduce glare and illuminate the road right in front of the vehicle, enabling the driver to stay on track, for safer motoring. If your vehicle didn’t come with fog lights or the originals are damaged or non-functional, install these custom Halo Projector Fog Lights. The projector beam lights will produce a sharper, more focused beam of light for better vision, and the Halos will make your vehicle more visible to other drivers. They come ready to install complete with necessary wiring. Your solution for small to mid-sized interior or exterior lighting. Available in five colors and four sizes, with the ability to be cut in 4″ increments. Popular applications include illumination of foot wells, door pockets, dashboards, cargo areas and other tight fit areas. Designed to withstand the rigors of harsh environments in tough commercial applications. Dually insulated design ensures years of trouble-free illumination. Available in three colors and three sizes. Dependable lighting for RV, all-terrain vehicles, truck beds, tool compartments and commercial trailers. 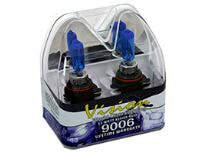 Beat back the blackest nights with Vision X Superwhite Headlight Bulbs. Brighter and whiter than factory bulbs, Vision X bulbs are designed to outshine and outlast your factory-beams’ best efforts. And, with low beam, high beam, dual beam and fog light bulbs available (depending on vehicle), Vision X lights up all your sockets. Vision X Bulbs plug right in place of your factory headlight bulbs-but that’s where any similarities end. The pure white light blasting from your Superwhite bulbs delivers brighter front and peripheral coverage for vivid nighttime visibility. And, with a standard amperage draw, all this performance doesn’t come at the expense of your electrical system. Best yet, your Vision X Superwhite Bulbs are backed by an illuminating Lifetime Warranty. When the path ahead is blanketed in inky darkness, you can’t rely on headlights and high beams alone. Amplify your off-roader’s visibility by flipping the switch on your Vision X Xmitter Xtreme Single Stack LED Light Bar. Featuring 2 rows of 90% efficient 5-watt Xtreme LEDs housed inside a trail-ready enclosure, these fiery light bars create an intense wall of illumination when you need it most. And since they’re protected by Prime Drive thermal technology, you can run ‘em all night without overheating. Torrential downpours, gritty dust storms, aerial rock bombardments—whatever the trail tosses your way your Vision X Xtreme Single Light Bar is up for the challenge. The heavy-duty housing unit is constructed from extruded aluminum with a shatterproof polycarbonate lens. Dirt, mud and moisture can’t penetrate its IP-68-rated seal. And even if it’s completely submerged in water, your Vision X Extreme Single LED Light Bar still fires without any hesitation. From compact lights that fit on your grille guard to massive bars that span your entire roof, Vision X Xmitter Xtreme Single Stack Light Bars come in a wide range of lengths. They’re sold individually and ship complete with a waterproof Deutsch connector and a plug-and-play wiring harness. 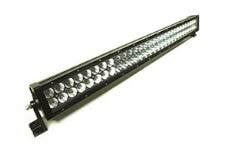 Better still, Vision X Backs your Xtreme Single Stack Light Bar with a Limited Lifetime Warranty. When you’re battling against intense off-road conditions, you need more than just ground clearance, low-end torque and hard-pulling recovery gear. Lighting is critical for surviving treacherous terrain. Declare war against the darkness by arming your ride with Vision X Light Cannon LED Driving Lights. With a whopping 1000′ beam of focused light, these high-caliber lamps deliver a devastating blow against the night. The overwhelming force of the Vision X Light Cannon stems from their ingenious engineering. They’re charged with a 25-watt LED bulb at the center and surrounded by Vision X’s proprietary Iris reflector technology. Once you flip the switch, the high-output shot of candlepower is concentrated into a tight ray that cuts through the din for epic long-range visibility. Plus, the onboard Electronic Thermal Management system fights off overheating while the Prime Drive ensures a steady bombardment of reliable illumination. While heavy on output, the Vision X Cannon weighs in at a hair over 2 lbs, thanks to its hybrid aluminum and polycarbonate housing construction. A clear polycarbonate lens shields the light inside from aerial assaults, and you can augment the beam pattern and color by snapping on the optional lens covers. What’s more, your Vision X Light Cannon LED comes protected with a Limited Lifetime Warranty. The Whelen SlimLighter™ lightbar is an SAE Class 1-certified deck/dash warning light. It uses TIR6™ Super-LED® technology that provides directional warning punch even through window tint. U.S.A. The Whelen Engineering Slim-Miser™ LED deck/dash light provides a variety of flash patterns with a swivel mount that helps minimize flashback to the driver. U.S.A. 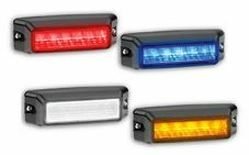 The 12V Whelen Engineering Responder® LP mini lightbar features 18 Super-LED® lights for reliable, long-life service.